Hello guys! 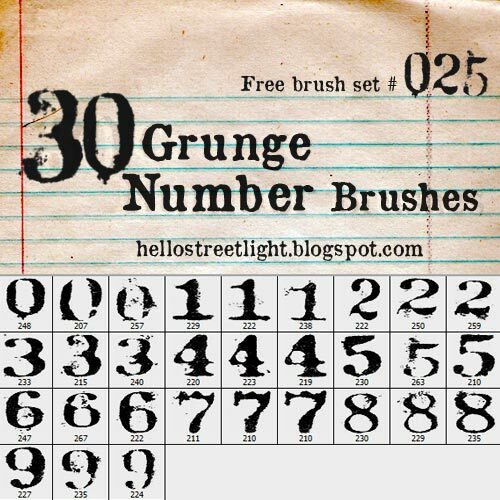 This free brush set contains 30 number brushes. For each of the numbers (0-9), I made three different kinds so that you can get some variation. The numbers have this old typewriter feel to it. This is something you can also use for adding grungy, old and worn effects. As usual, I hope you like this brush pack and enjoy! 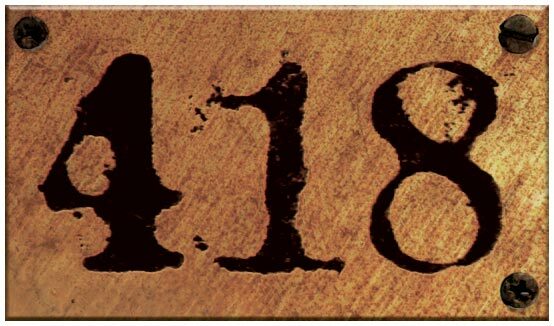 Used the brushes for an old door number plate.